Golf Community Reviews is unbiased and objective. 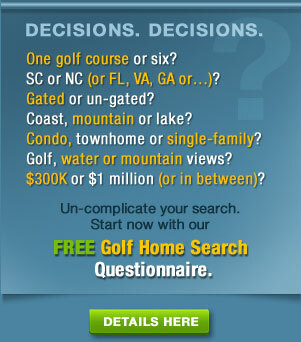 We do not solicit advertising from communities we review, but we do list current golf homes for sale as a service to our readers. We also run Google sponsored ads which may include golf communities we review from time to time; these are randomly inserted by Google into our site. For services rendered to our customers, those searching for a golf home, we charge a modest 100% refundable fee that is returned shortly after closing and within two years of engaging our services. Click here for our Privacy Statement.